The Causeway Challenge is an ideas contest centered around a specific question, that empowers individuals to pilot their ideas for community change. For our 7th Challenge we asked, "How can we use common spaces to strengthen the neighborhoods in 37404?" As a new resident, the very first people Alexia Johannes met were her retired neighbors in Highland Park. She works from home, so while most people were away during her mid-day walks, the seniors were parked on their front porches and eager to chat. She had many great conversations about the rich history of her new neighborhood, the changing tides, and their concerns for the future. She often filled them in on neighborhood news that she saw on the Facebook group. To connect the older and younger generations, Alexia wants to host a “pageant” inspired by the neighborhood’s beloved mascot: a Peacock that roams the streets named Pete. At the event in Tatum Park, senior residents (over 60) will be escorted down the runway by the youngest residents (under 7). Prior to the event, junior reporters (7-17) will meet with senior residents to capture their stories, writing bios that they will announce at the event, and post online to share more widely. Alexia hopes to make this an annual event that will foster lasting and meaningful relationships between new and long-term residents. In his 20+ years as a Glenwood resident, Ric Morris has seen lots of community events come and go. He knows that easy access to the proper tools is half the battle, not only for Glenwood but for all neighbor-led events. 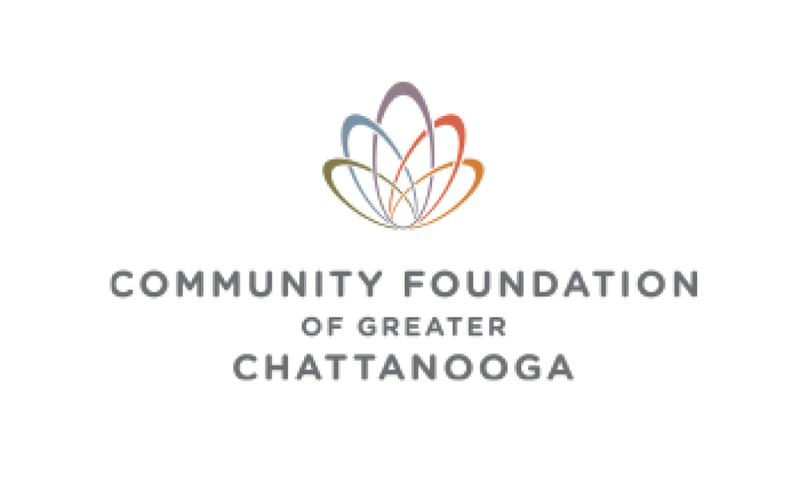 ChattaNAP (The Chattanooga Neighborhood Arts Partnership) seeks to build and manage an inventory of equipment, artists, and volunteers that are shared between neighborhoods for arts presentations in parks. As a pilot, they will host a concert in Glenwood to bring together a diverse group of new and long-term residents, building trust between neighbors through a positive activity. From there, they will develop a replicable system to present the arts in any neighborhood park in the city. Joyce Watson has lived in Churchville for over 16 years and served as the neighborhood association president for most of that time. She sees a lack of neighborhood pride in the way that people leave trash everywhere, making Churchville less appealing for residents and more at risk for crime. She plans to organize monthly themed cleanup days through the fall—with extensive outreach, friendly competitions, costumes in October, and porch-light hanging in December. She hopes to not only clean up the neighborhood but to build a strong group of neighborhood leaders who can collaborate to improve neighborhood safety. This group of artists, activists, and historians wants to work with their neighbors to create visually compelling historic markers that celebrate the hidden histories of the area. Marcus Ellsworth with Barking Legs Theater on Dodds Avenue will work with Michael Gilliland of COA to research significant civil rights sites, starting in Orchard Knob and Ridgedale. They will work with visual artists like Charlie Newton to organize each story into a visual narrative. Once the markers are in place, they will host walking tours and celebrations of their neighborhood history. They hope the project will inspire pride, and show how valuable the 37404 area has been and continues to be to the city of Chattanooga. Jonathan and Sarah Berestecky live in Ridgedale, and their three children attend Eastside Elementary in Oak Grove. Eastside does not have funding for field trips or out-of-the-classroom learning opportunities, so Jonathan wants to connect the students to an amazing resource in their own backyard. Right across the street from the school sits a huge, thriving community garden that is managed by a Kenyan Episcopal Priest and a group of North African Refugees. This team wants to create a lasting, mutually-beneficial relationship between Eastside Elementary and the Taking Root Community Garden for real-world learning experiences: art students will create a new sign, science classes will learn about the crops, and social studies classes will speak with the refugees about their culture. They hope to organize a meal using food from the garden for students, parents, and refugees to build relationships. 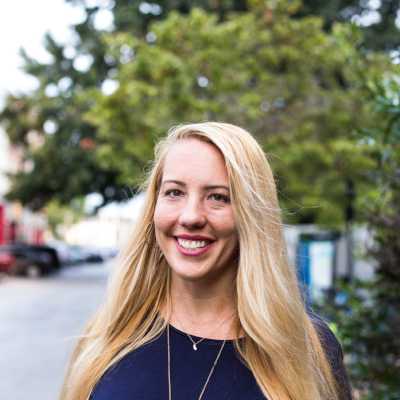 Tatyanna Moraczewski is a talented architectural designer and new resident of Highland Park. 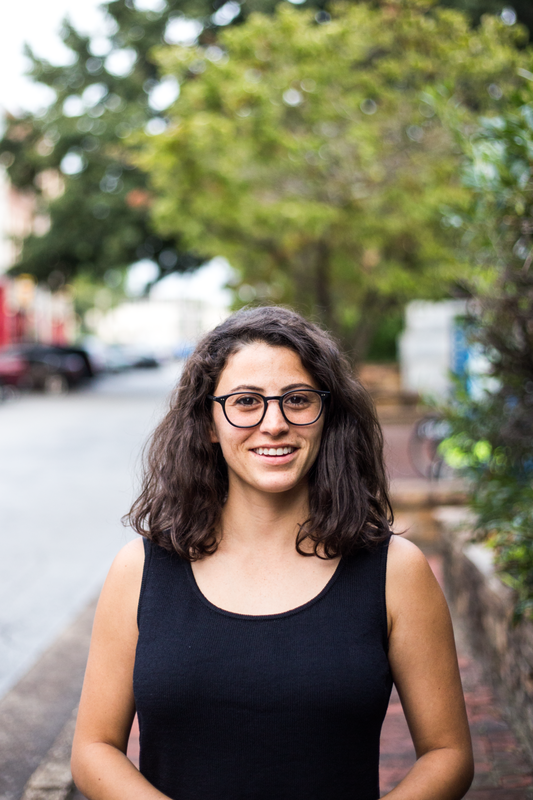 She wants to create a fun, interactive, social installation that will connect individual neighbors to the fabric of their city. SnapChatt will be a photo-booth and viewer installed in a public space, like a bus stop or a public park. When anyone takes a photo of themselves, a large-scale photo of the neighborhood is also snapped, to document how the neighborhood grows and changes over time. These photos are added to a scrollable timeline, creating a record of both the people and the place. Lili and Jeremiah Reynolds bought their first home in Ridgedale a few years ago. They’ve realized that the neighborhood is often perceived as a disconnected and transient place, partially due to the percentage of rental properties with high turnover rates, and a large abandoned factory occupying the very heart of the neighborhood. Simultaneously, they know the reality is that there are many long-term residents who have a rich history and many stories to tell about this neighborhood. 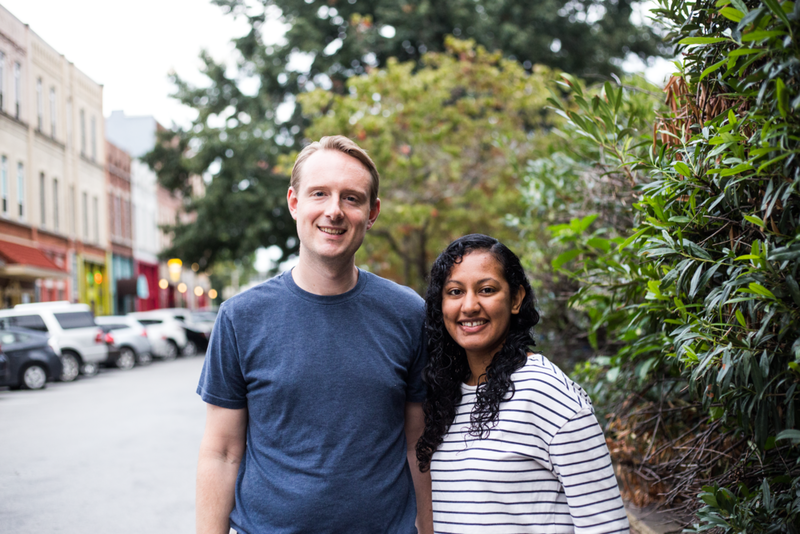 Their project strives to introduce the residents of Ridgedale (new and old) to their own neighbors –– people they may have seen many times before but never met. They plan to collect the stories of 10-12 residents of Ridgedale to capture the large variety of people and experiences in the neighborhood. Then create large artistic portraits of the residents with a quote and link to an online compilation of interviews. The portraits will be displayed in common areas like parks and prominent commercial buildings, making a statement that everyone belongs and they are all stakeholders in the shared life of their community. Cameron Williams has a long history as a connector in the 37404 area. He is passionate about connecting diverse groups and making sure that everyone’s voice is heard. The Sound Revival is a community-led art installation all about listening to the voice of your neighbors. From the outside, viewers will see a small stage with an antique radio that is broadcasting an interview happening in a small, hidden recording studio behind the stage. Cameron and his team will install the Sound Revival Pod at different areas in the 37404 zip code, broadcasting stories, confessions, interviews, conversations, and music all from the diverse residents of the area. Listeners are invited to sit on or around the stage to listen and ponder. He hopes to create a unique experience, giving people a platform to be heard and connecting residents who might not otherwise interact. Through her experience fostering children at her home in Highland Park, Iunike Stevens’ eyes were opened to the fact that you do not have to be homeless to be hungry. Inspired by her late mother’s community work, she wants to install outdoor cabinets in public spaces in each of the neighborhoods in 37404 to be filled with non-perishable food items. The food will be donated by people in the neighborhood, and free to take for anyone who may be struggling to feed their families, or who just need a little assistance to make it to the next day. Iunike will take inventory regularly to ensure that the neighbors are aware of the most popular items that need to be stocked. She hopes the project will meet a real need, and connect her neighbors. Charissa Sethman and her children spend a part of every day at the Highland Park Commons. There she has seen the many diverse people that come in and out of the space, reminding her of an ancient Greek “Stoa” — a common space where people would meet for commerce, discussions, and art. She also knows that her neighborhood is home to many people with different literacy levels, and with various degrees of fluency in English. She wants to welcome new neighbors, demonstrate fluency, and model good friendship by reading great books in a common space regularly. Children and young adults alike benefit from listening to great books read aloud. Vocabulary increases, the actual art of listening strengthens, English fluency grows, and a treasure trove of ideas is opened up. She hopes to build a diverse community of different ages, nationalities, races, and professions who come together to hear great stories.